The study examined nutritional information for goods such as mince pies, cranberry sauce and pigs in blankets, comparing the same portion size each time. A study conducted by fitness experts Nuyoo.co has compared festive food items from five major supermarkets (Asda, Tesco, Sainsbury’s, Waitrose and Morrisons), to see the calories, fat and sugar content in the products. The study examined nutritional information for goods such as mince pies, cranberry sauce and pigs in blankets, comparing the same portion size each time; and showed that the biggest calorie differences were for stuffing (120 calorie difference), pigs in blankets (88 calorie difference between Morrisons and Tesco’s versions) and cranberry sauce (a difference of 65 calories). Nuyoo.co claims that making the right supermarket choice for Christmas groceries could save consumers 610 calories, which is 31% of a woman’s daily calorie intake, and 24% of a man’s. On average, the report suggests that it is “wiser” for waistline-conscious consumers to shop at Morrisons this year, while stating that buying from Waitrose is “a disaster for your diet”. Looking at sugar per item, it was revealed that Sainsbury’s, on average, slips the most sugar into its seasonal products, while Morrisons ranks last for sugar content. The difference between the two was 20.6g of sugar, the equivalent of over five teaspoons, or 74% of the recommended daily allowance. 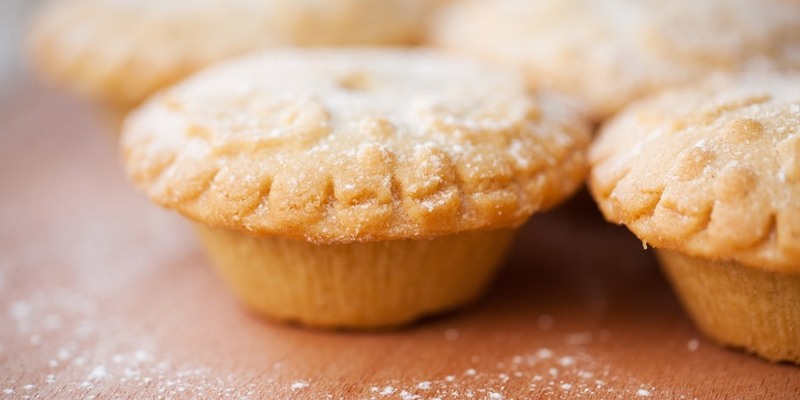 According to the study, the biggest “game-changers”, or Christmas purchases with the largest sugar content difference, were cranberry sauce (where switching to Morrisons from Sainsbury’s could allegedly save consumers 17g of sugar), mince pies (8g difference per mince pie) and Christmas cake (8g of sugar difference). In addition, the numbers show that in Waitrose the total fat content of the selected Christmas items contained 19.3g more than the fat content at the lighter-option supermarket, which was Sainsbury’s. The seasonal foods with the biggest difference in fat content were stuffing (where Waitrose’s stuffing packed 14.8g more fat than Sainsbury’s version), pigs in blankets (5.4g difference in fat content per portion) and Christmas pudding (3.8g difference between Asda and Morrisons). A spokesperson for NuYoo.co said: “It is hard to avoid Christmas treats, but smarter decisions could be made this year when it comes to your holiday shop. Food Management Today contacted Waitrose and Sainsbury’s for comment and has not received a response.